Copper Creek Spur's location is perfect for a quick lunch after a morning of shopping or a great meeting point for friends, family and business colleagues at a central place. Copper Creek Spur serves up a selection of delicious starters ranging from salads to spicy nachos. 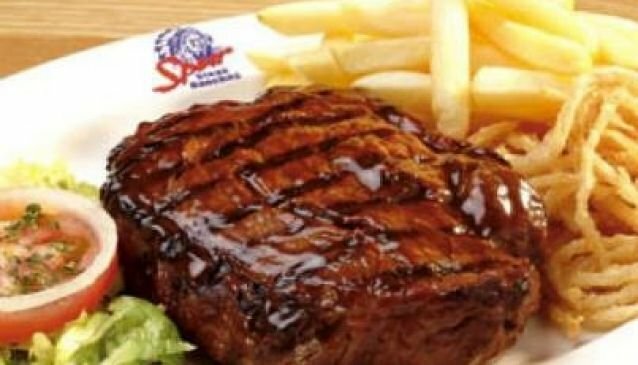 Their wide selection of mouth-watering burgers and steaks accompanied by either chips, hot vegetables or a salad means that there is a choice for everyone. Their desserts and milkshakes are great for a something sweet or a quick treat. Children are catered for with their own menu along with a play room equipped with video games and toys for all ages. Copper Creek Spur is great for large groups and parties. Copper Creek Spur has a good selection of specials: Monday get two for one on selected burgers, Wednesday kids eat for free.